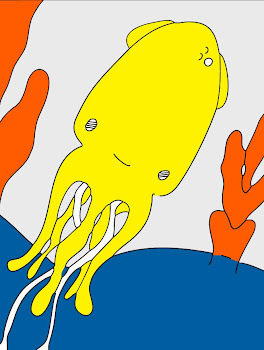 Technicolor Squid: Death Cab For Cutie. Hi Lovelies, I want to share another cute video with you. This is Death Cab for Cutie with "Your Heart Is an Empty Room" from Plans/Directions. It was directed by Jeffrey Brown and animated by Eliza Kinkz. I hope you enjoy it! I am trying to catch up with all of your sweet comments, until then please know how extremely appreciative I am. Thank you so very much for sharing your thoughts and kind words with me! Tomorrow, I am off to Bellevue with Him. I am hoping to shop a little, have a nice dinner out and see The Science of Sleep. Wish me luck *smile* Hugs! xox=vv. awww. I love me some Death Cab.